specialization in business-to-business at oil and gas sector. As of December 2017, PT Tugu Pratama Indonesia is 65% owned by PT Pertamina (Persero), 17.6% by PT Sakti Laksana Prima, 12.15% by Siti Taskiyah and 5.25% remaining shares by Mohamad Satya Permadi. As of December 2016, Asuransi Tugu operates 6 domestic branch offices (Surabaya, Bandung, Medan, Balikpapan, Semarang and Palembang), 1 overseas office (Hongkong) and was supported by 326 employees. According to information found in PT Tugu Pratama Indonesia Annual Report 2017 as cited by JobsCDC.com, Asuransi Tugu booked total comprehensive current year revenue of USD60 million in 207, or dropping 65% from USD174 million in 2016. Asuransi Tugu booked gross premium which was 24% lower from the previous year, or from USD256 million in 2016 to USD196 million in 2017. 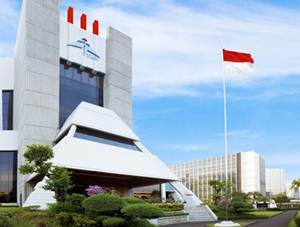 Referring to its annual report, Asuransi Tugu managed to yield USD45 million in current year profit. This number is a 35% drop in current year profit compared to that in 2016 which reached USD69 million. Minimum Bachelor degree from reputable University with minimum GPA of 2.80, preferably from Engineering / MIPA. Domiciled in Surabaya / surrounding area and willing to be placed in Surabaya Branch Office. Have at least 2 years of experience in the same field / position. Open for fresh graduate. Maximum age 30 years before 1 August 2018 with a good medical history. Have professional certification in the fields of insurance, CGI, AAAIK or AAIK is an added value. JobsCDC.com now available on android device. Download now on Google Play here. Please be aware of recruitment fraud. The entire stage of this selection process is free of charge. PT Tugu Pratama Indonesia - Fresh Graduate Technical Staff Pertamina Group July 2018 will never ask for fees or upfront payments for any purposes during the recruitment process such as transportation and accommodation.